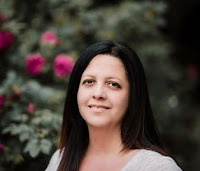 Libby Leeds is a writer for a magazine and she has incorporated memories of her childhood on Sanctuary Island into her stories. She has also allowed her imagination to get a hold of her on most things because she has not lived on the island since she was eight years old when her parents were killed in a car accident. She has not been back, she cannot cook the recipes that she describes or some of the other things that she has written about over the years. But she needs the job to pay for the care of her uncle who is now in a home because he was the one who took her in after her parents died. As she is preparing for her new article she is also replaying a story from the internet about an, Army Ranger, who is injured and going to Sanctuary Island to see his sister and his daughter, who is has never met. She is then put into a situation with her boss who has made a deal with the Sgt. 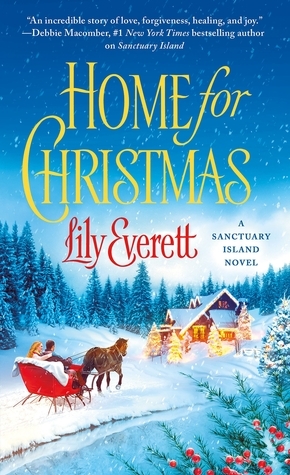 For a special Christmas for his family, but Libby has to cook the meal and he figures she has a home on the Island since she lives there. Once she comes clean with her boss about the stories he still forces her hand. She then calls her grandfather on the Island and he agrees to let her use his home. This is just one of many things she has to do because of the articles. 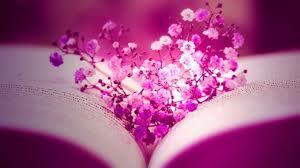 Owen Shepard is back but injured and is now meeting his daughter for the first time, and that does not go very well. It will take time for her to let him in but like Owen, she is attracted to Libby, and she is to both of them, but she has a fake husband because of the articles. The story goes along and she gets to a point where she has had enough and comes clean to Owen about everything , and Owen’s sister calls him out for him wanting to run away like he has always done instead of really listening to hear and being just about him all the time. A good story for Christmas even though it is early, overall a good book. I got this book from netgalley. I give this 4 stars.